It may be 2018 on the calendar, but we’re still looking back and thinking about the 35 years we’ve been in business. Nick and I are the first to admit that we could not have accomplished so much on our own. 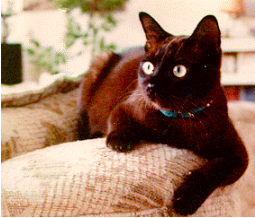 But besides the support of friends and family we’ve been fortunate to have had near continuous feline helpers. 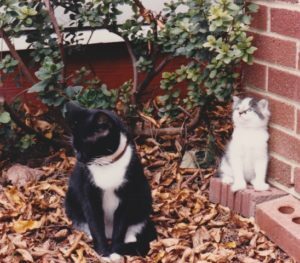 Take a look at a few more of the photos celebrating the cats of The Century Guild. Babs, who apparently returned Buster’s affections, presented us with Bitters, our longest-lived feline employee. 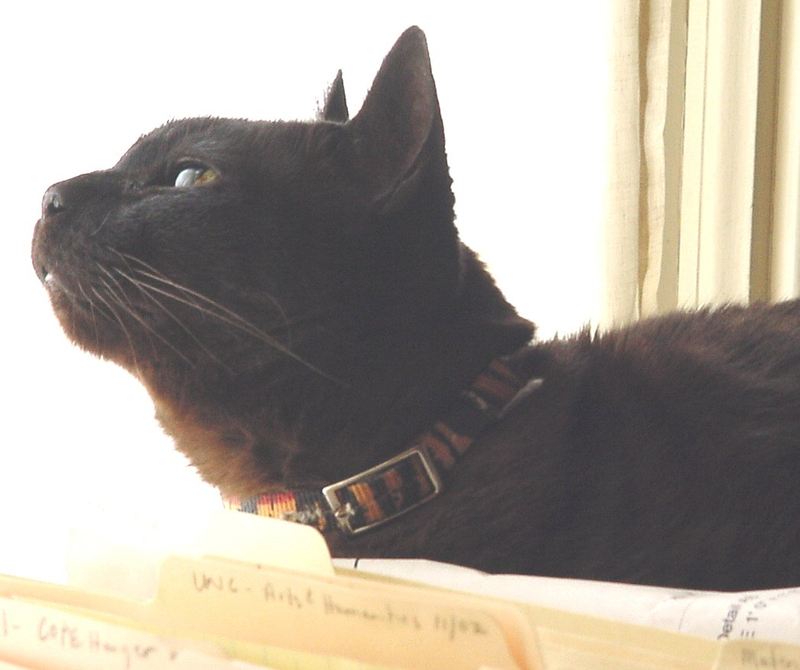 Bitty-Bats, as he came to be known for his habit of reaching out to administer little love-bats, was with us for almost 20 years. 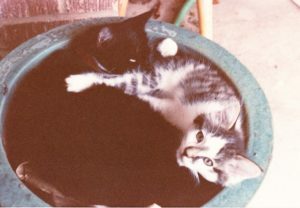 Babs and Bits in a favorite napping spot. 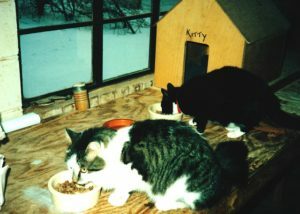 Bits and Babs enjoying breakfast in the shop on a snowy morning. Bitters, office-cat, helps Meredith out with the accounting. 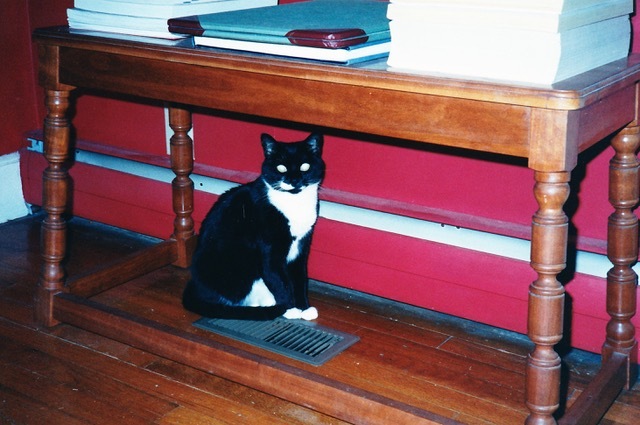 Babs, meanwhile, tests the effectiveness of the heating vent. 2002: Stumpy and his sister Katy came to the Guild when an employee’s mother died. Our only pedigree recruits, they took a while to adjust to their new positions. Sadly, Stumpy succumbed to kidney failure not long after becoming fully familiar with his new duties. 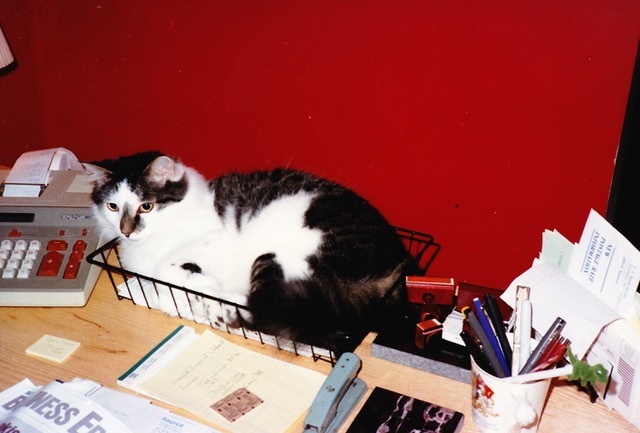 2002: Katy, a fine employee with a special gift for employee jollification, retired from the Guild to become a much-loved house cat when we moved to our new studio in 2004. Copyright © 2019 The Century Guild.